The automatic high-speed edge sealing and shrinking machine uses optoelectronics to automatically detect products, and the packaging capacity is 85 bags/min. · The edge sealing and shrinking machine adopts imported components to ensure the high-speed running stability of the machine. · The imported servo motor controls the sealing cutter, it ensures the sealing precision and the firming of the sealing line. 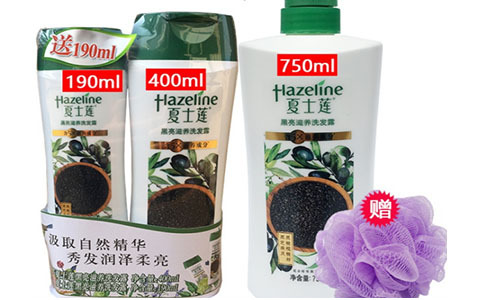 · The shrinking machine adopts the edge-sealing design, the packaging length is unlimited. It can store the product packaging parameters in the system. · Fault alarm and display function: the machine has a wide packaging range and can package products of different sizes and shapes. · The height of the sealing line can be adjusted to the height of the package. 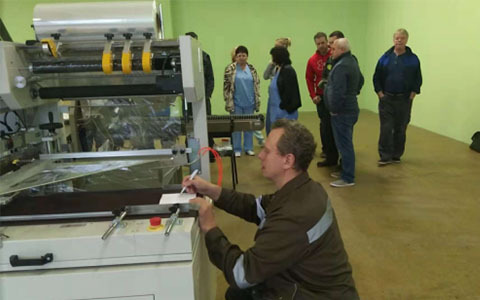 The automatic carton erector machine GPK-40H18 is a patented product independently developed by Gurki. It is the first vertical carton unpacker in China,and the opening speed reaches 18 boxes/min. Compared with the same level of vertical unpacker, the price is 50% lower, which is economical and practical. 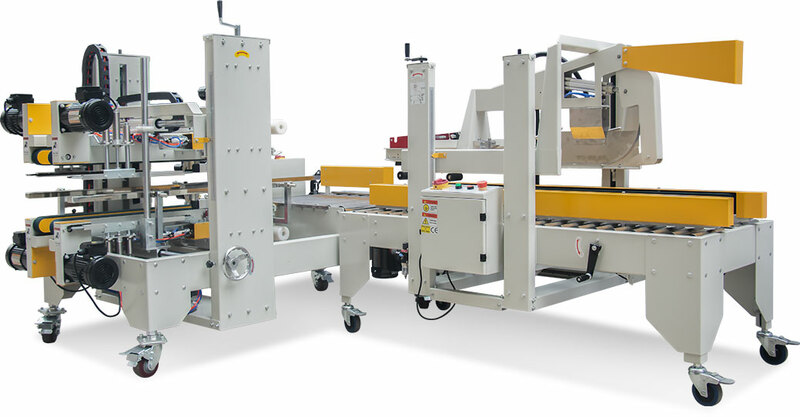 · The length and width of the automatic carton erector can be customized with non-standardization. · Equipped with an induction motor, when the size of the carton changes, the adjustment is very simple, no need to change the mold and tape. · It can be used alone or in conjunction with automatic packaging line. · The performance of the parts is precise and durable, the operation process is vibration-free and stable. · Imported parts and electrical components such as Siemens and Schneider. · With automatic protection to prevent accidents. 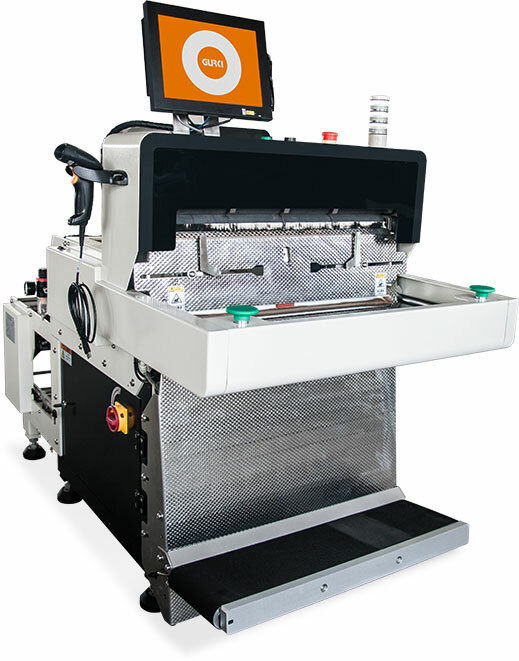 GPC-50+GPG-50 is an automatic "H" seal made by two machines, which are the flaps folding carton sealer and automatic four-corner sealing machine. · The height of the table top and the height of the carton can be adjusted independently, which is simple and practical. · The shape is elegant and generous, the parts are stable and durable, and the service life is long. · The fuselage comes with four high-intensity brake wheels, which is very convenient for transposition work. · The sealing is fast and beautiful, labor saving and efficient. · Simple operation, economic durability, safety, the lowest failure rate. 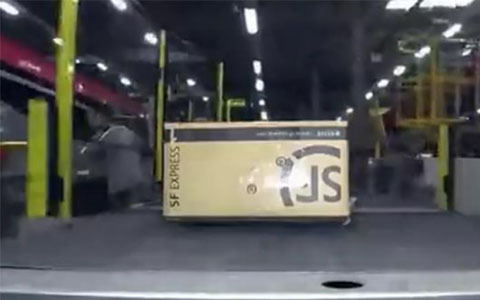 This is a patented product of the unmanned full intelligent express strapping machine independently developed by GURKI, which is specially designed for ecommerce logistics user.We can offer the mainstream ERP system and WMS system according to the needs of customers.It is suitable for occasions with large shipments and diverse product specifications. Unmanned automatic express strapping machine with ultra-fast 2D scanning imager,support online monitoring, read information function, provide operators with stable and accurate reading results. Equipped with the intelligent weighing system which was independently developed by GURKI, it can quickly and accurately weigh the express weight and automatically upload the weight information, which is convenient and quick. 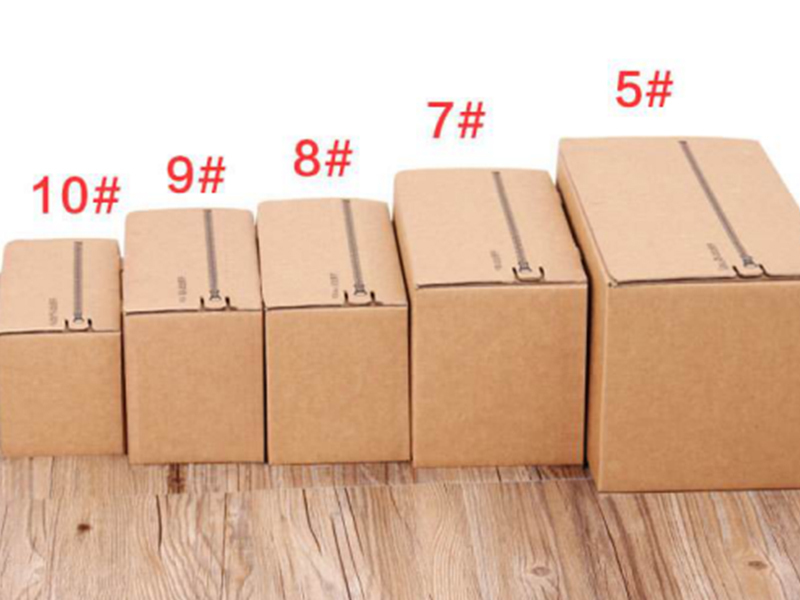 Can store a variety of product packaging data at the same time,can be directly transferred from the system when using, simple and convenient. The reasonswhy GURKI products can be exported to Europe and America, is because we have quality products and services. All our products have passed the CE certification of the European Union and registered brand trademarks abroad. In 2010, we signed a brand agency agreement with a number of US companies. GURKI has 2 million customers worldwide, in South Korea and Vietnam. India, the United Kingdom, Taiwan(China) and other regions set up dealers. GURKI is a quality service provider for many Fortune 500 companies. 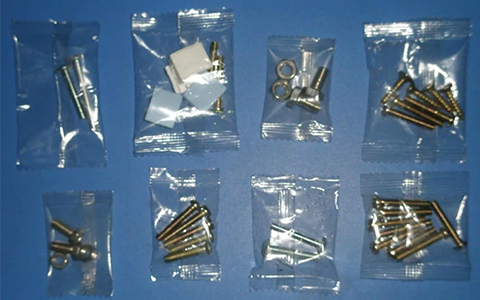 Metal product packaging is particularly strict, because metal-based products are easy to oxidize and rust. The birth of Gurki heat shrink packaging machine can solve the oxidation problem well. 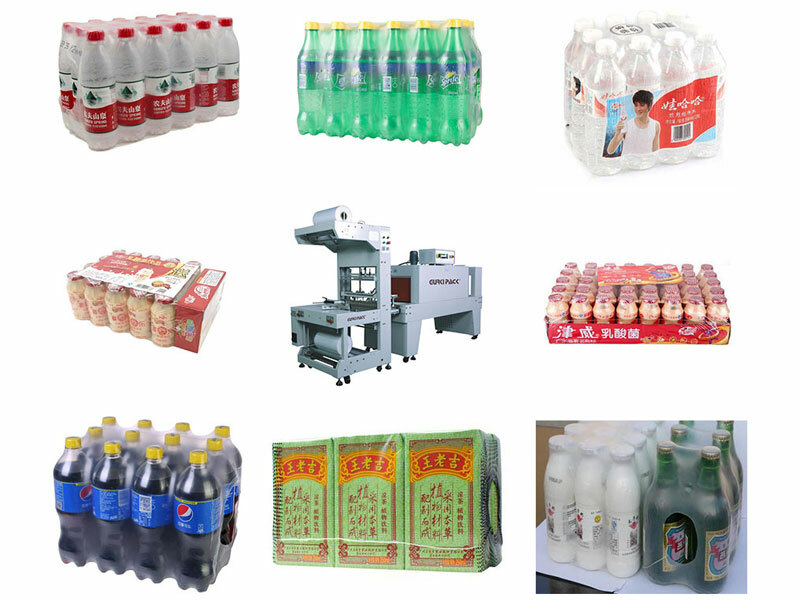 Watsons has used Gurki Automatic Frontal Feeding Sleeve Sealing and Shrinking Machine to pack soda, which has already captured thousands of foodies! How could Watson get second ranked on rating and sales volume? Gurki has recommended a “killer” to improve their products’ appearance. 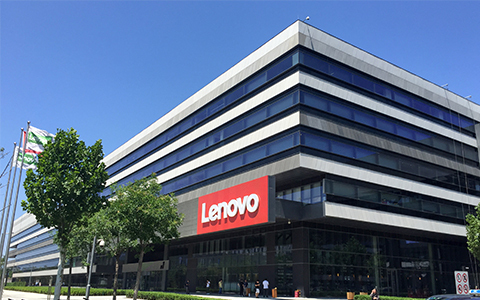 Lenovo Group Ltd. is a Chinese?multinational?technology company. He has adopted the GURKI intelligent selection of carton specification packing line solution to quickly seal and package different products. In order to increase the sales volume of the promotion, Gurki recommended a automatic high-speed edge seal shrink GPL-5545H-GPS-5030LW to help Unilever upgrade the product image. High labor costs? The medical enterprise wants to develop abroad is inseparable from the secret of saving money. 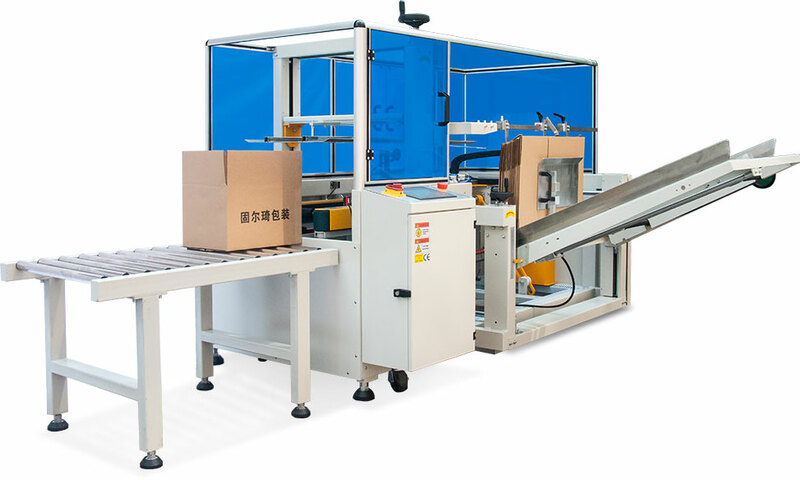 As we all know, foreign labor costs are high, Guangzhou Improve Medical Instruments Co., Ltd, the secret of saving labor is to invite orders to Gurki to purchase fully automated packaging equipment once again. This company uses Gurki machine in the production line, the orders have reached to more than 10000 per day! In order to enhance the corporate image, make customers understand the production process and have a more intuitive feeling. 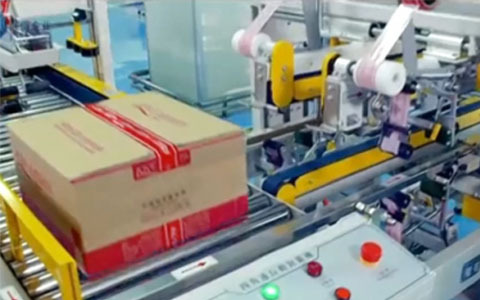 Zhongshan Rili requires the addition of a fully automatic folding and sealing line. 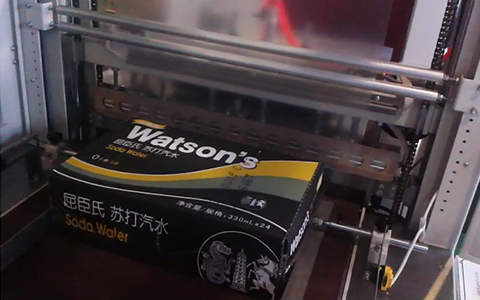 HUAWEI uses the high speed automatic carton erector GPK-50 to help upgrade the packaging efficiency. 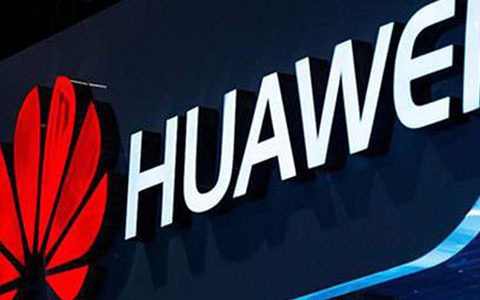 HUAWEI was founded in 1987, he provide competitive, safe and reliable products, solutions and services in the fields of communication networks, IT, smart terminals and cloud services. 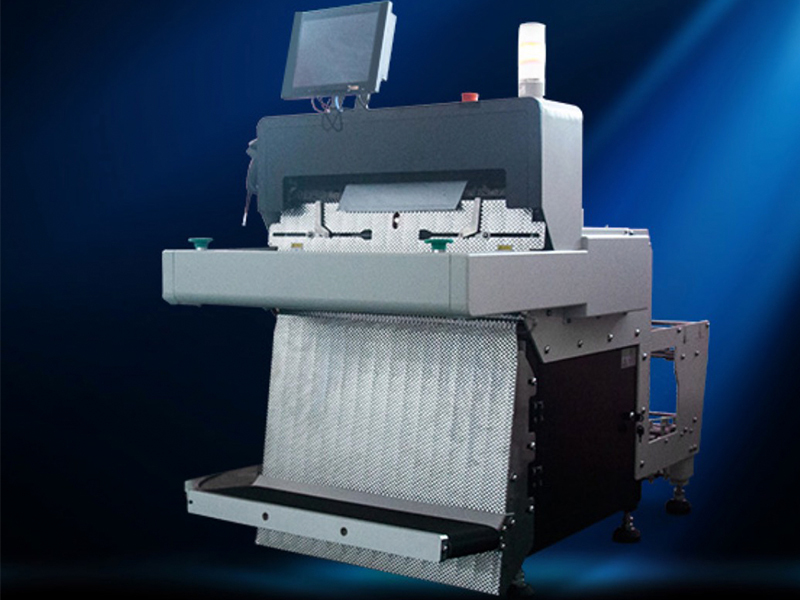 SF Express uses Gurki fully automatic high-speed edge sealing shrinking machine. It can reduce the risk of express delivery and can deliver the complete and clean delivery to the customer. 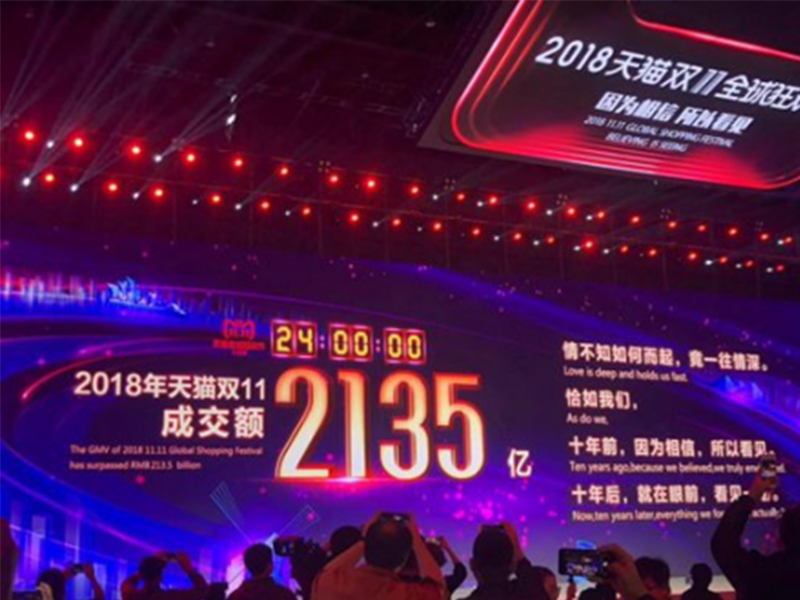 Ma Yun predicted that the number of logistics orders on the 11th day will be 1 billion. What kind of weapons do you use to pack? The new German packaging law will come into effect in 2019. How should these export companies respond? World premiere! GURKI e-commerce package delivery tool came out! Why are logistics providers and e-commerce companies queuing to buy? The carton costs is rising, the rich packaging forms can't wait, and the heat shrinking will replace it!